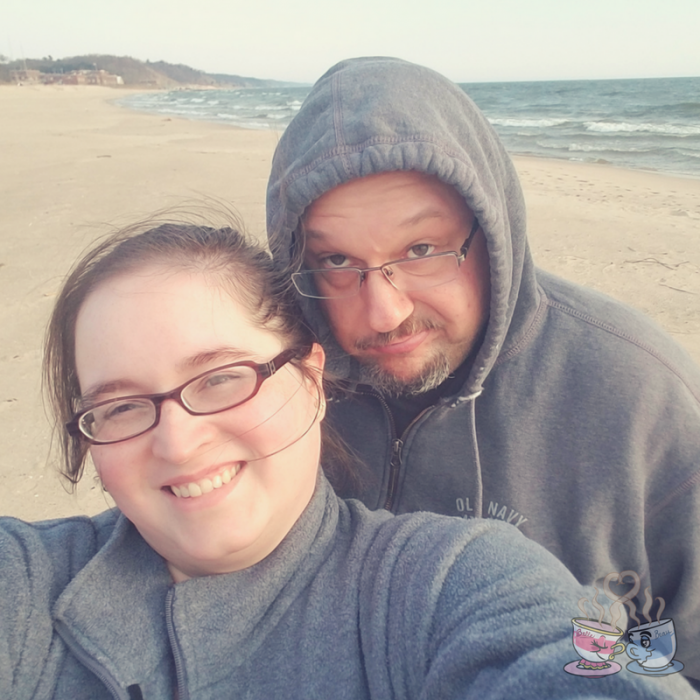 Since moving to Michigan in October of 2016, we have spent tons of time on the shores of Lake Michigan. 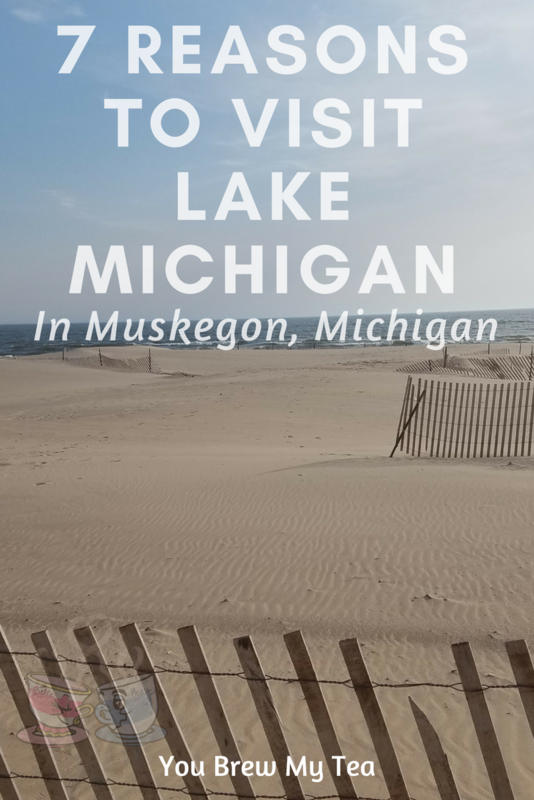 I decided to share some of my top Reasons to Visit Lake Michigan, especially the Muskegon area with you. Lake Michigan spans the Western coast of Michigan and touches Illinois as well as Wisconsin. While we, obviously prefer the Michigan side, there are many reasons to check out all of Lake Michigan and the surrounding states. Feels like the ocean without the salt. One of the big selling factors for us was that we both loved the ocean. Heading to Lake Michigan, we found that we could have the sand, waves, and even seagulls. The lack of salt water makes it better for me, as that can often be irritating to my skin. It is odd to step out onto the beach and feel like you’ve gone home to California, but not smell that salt in the air! However, it can be a great encourager for those who want the ocean feeling without the salt or threat of sharks. Beautiful clean white sandy beaches. I’ve been to the ocean, to Hawaii, and to many lakes throughout the United States, and this is the first place I have been where the beaches truly stay clean. Specifically, our family loves visiting Muskegon and St. Joseph. The beach areas are often kept up better and cleaner in these areas. They also have tons of great family park areas that are maintained well year round. If you are looking for clean beaches, we haven’t seen any on Lake Michigan we wouldn’t enjoy spending time with our family exploring. The sand is beautiful, clean, and the beaches are all well maintained. If you are in the northern part of the lower peninsula, you may want to head to Petoskey to check out the clean beaches there for Petoskey stones! My friends over at This Worthey Life have some great reasons you should Visit Petoskey Michigan that will tell you more about this! Sunsets over the water are always soothing. There is truly nothing in the world as romantic as sitting next to your spouse on the beach at sunset. The sunsets over Lake Michigan are breathtaking. I’ve enjoyed a Hawaiian sunset a few times, and they are some of the best, but Lake Michigan definitely has my heart and is a must see. Taking a selfie with my Beau is always fun while visiting Muskegon. This was shot our first week in Michigan and is one of our favorites! Fresh water fishing. So many people love fishing, and Lake Michigan is ideal for fresh water fishing. Whether you find a shoreline and bring a pole, or you charter a boat to go out on the water to deeper depths, you’ll love the option of fresh water fishing. Michiganders love a good fish fry, and you’ll fit in perfectly if you spend some time on the lake. You can surf without going to the ocean. Surfing is such a fun sport, but it is usually relegated to oceans. 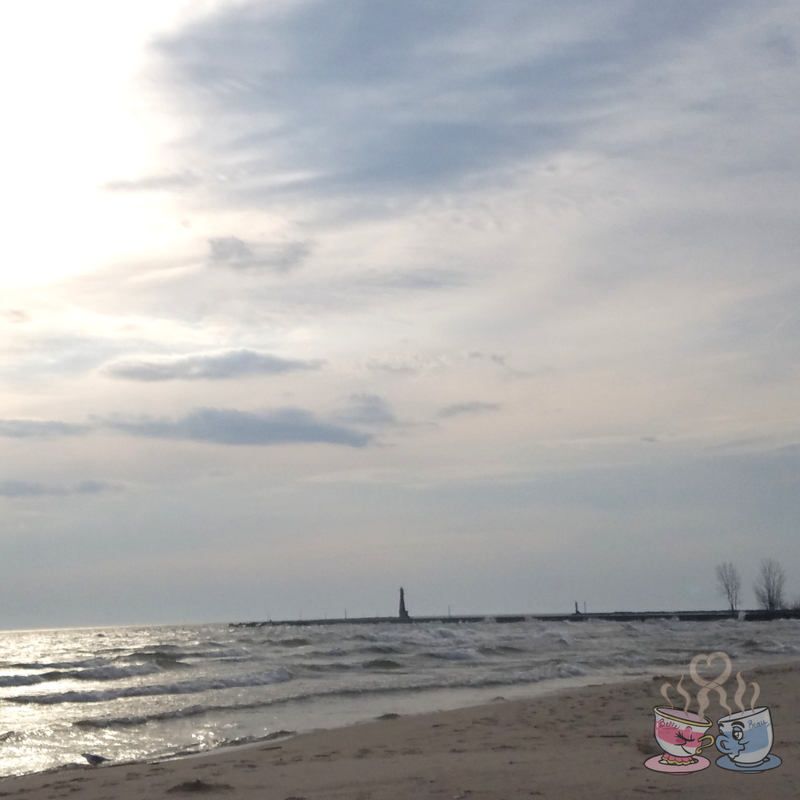 Lake Michigan has amazing surf and great locations for a good day out surfing. Don’t be surprised if you show up in Muskegon or St. Joseph and see surfers carrying their boards to the beach. The water is often ideal for surfing and has been known as one of the best places to surf by the pros. Sleeping Bear is also well known for surfing and has some great information about Surfing Lake Michigan on their website. We’ve only driven past the area once so far, so I don’t have first-hand information on what that part of the lake has to offer. Family friendly beach environment. 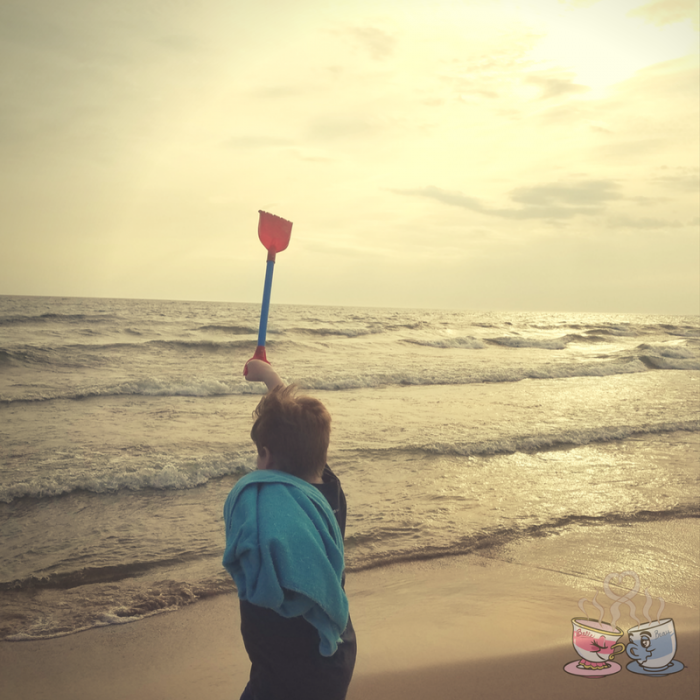 We love that bringing our son to the beach with us is a safe thing to do at most Lake Michigan beaches. In Muskegon, our favorite spot, there is a no alcohol and no-glass bottles rule on the beach. That, along with the kid’s playground nearby and the park across the road for picnics that has restrooms easily accessed makes it a perfect destination for a family. So many light houses. Lighthouses are common on beaches, but Lake Michigan has some of the most beautiful you will find. In fact, there is a Lighthouse Circle Tour you can do on your own time around the state of Michigan. This takes you around the state and edges of Lake Michigan (as well as other connecting Great Lakes). Checking out the lighthouses is a fun past time, makes for great photo opportunities, and a wonderful education tool. Visiting Lake Michigan is going to become one of your family favorite things to do together. If you feel like there isn’t enough to do at the beach, check our friend Deb’s guide to the Ultimate List of Things to do in Michigan for great ideas around the state. Michigan and the lake bearing its name is a beautiful destination your family will love. If you spend a lot of time at Pere Marquette, you might also like to try Duck Lake State Park. It’s perfect family friendly and you get the best of both Lake Michigan and Duck Lake. It’s one of our favorite places to visit when we are in Michigan. I will have to take a look at Duck Lake State Park for sure! within 3 miles of a body of water, whether it be a river, Creek or lake. I am not sure where you exactly located to but some beautiful lakes to see inland are Torch Lake which is I believe north of Baldwin. Gull Lakee is a very pretty lake which is near Kalamazoo and we spent a lot of time camping at Gun Lake Yankee Springs north of Kalamazoo off 131. It is a very shallow lake for boats and for swimming. Great for kids. Baldwin in the summer is a must for canoeing. Must see Mackinaw Island. Octoberfest is fun and so much more. In Aug or Sept, Allegan County Fair is awesome!!!! We are near Kalamazoo 🙂 You named tons of our favorite places already!! We love this state! The view at Lake Michigan has been a point of attraction for tourist all around the Globe. The reasons mentioned above provide justification for visiting Lake Michigan.